The ELIANE Delray Ceramic Floor and Wall Tile series features the timeless marble design. Delray’s detailed veining and neutral white and beige colors bring a luxurious feel to any room. Suitable for indoor installation, the Delray series offers versatile options for kitchen and bathroom walls, as well as elegant floors for the entire home. This series has a high sheen with a smooth, glazed finish. 0.18 square foot per piece, each piece sold individually. Piece weight equals 0.44 lb. Buy online ELIANE Delray L-1 White 3 in. x 8 in. 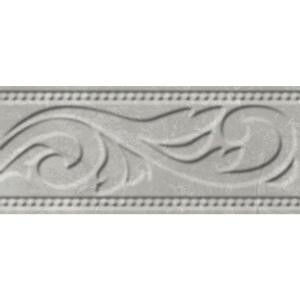 Ceramic Listello Wall Tile 8031086, leave review and share Your friends.